ROCKEY6 SMART Software Protection Dongle is a smart card chip based software protection dongle with built-in C51 virtual machine. The C51 virtual machine allows small application being executed onboard. Thus developer can move a part of the functions to the dongle. Dongle will perform as a part of the application. Without the dongle, the application is not complete. Even software is duplicated, it is lack of core functions being protected in the dongle. The function migration concept is a new generation of software protection technique, which can provide absolute protection to applications. 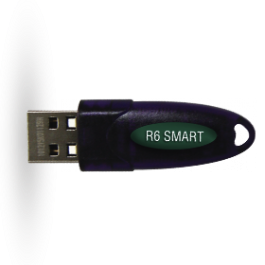 ROCKEY6 SMART is a smartcard-based dongle which provides highly secure full-featured software protection solution for software developers over a number of operating platforms. It is a high-speed driverless Human Interface Device (HID), providing up to 64K on board memory storage and high-strength encryption algorithms such as RSA and DES. 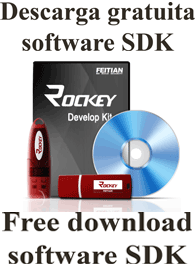 Through the flexible remote-update and feature management features of ROCKEY6 SMART, software developers can easily employ various sales patterns like lease, trial and sale on application features in an absolute pirate-free way. High-strength algorithms: RSA, DES etc.